Sunless tanning spray for a light, summery tan. Instead of tan lines and sunburns, say hello to skin that glows. With nourishing oils, antioxidants and extracts, you won’t be able to help but love your skin. And your skin will love you right back. So natural looking and won’t turn you orange! Spritz onto clean, exfoliated skin. With the Beachfront Body Applicator, blend evenly into skin. Let dry before getting dressed. Finish by washing and squeezing out the applicator. 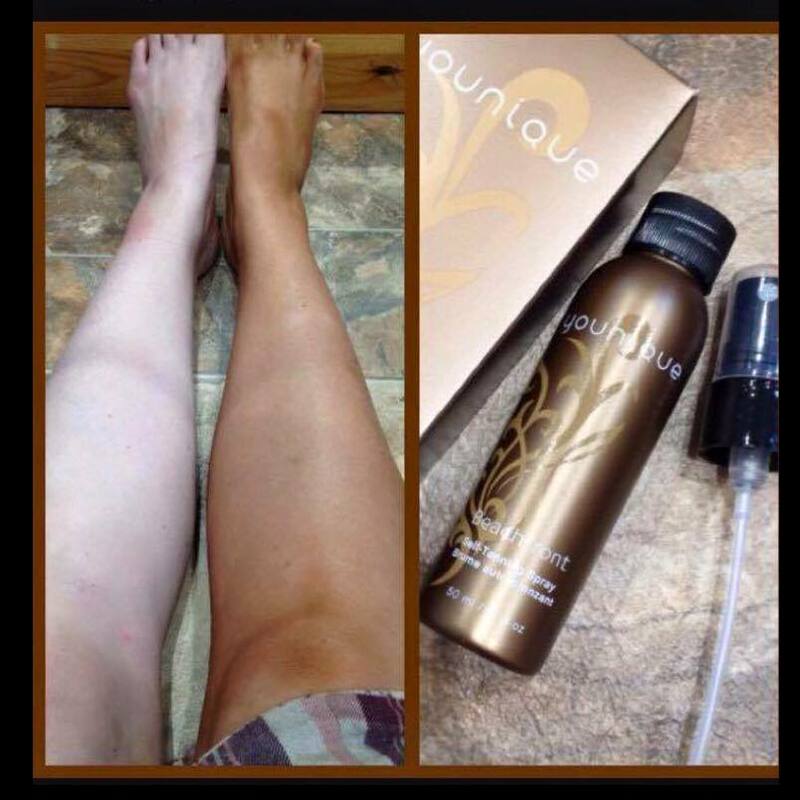 Younique Self-Tanning Spray First Look!